Turquoise waters surround the island paradise. Ambergris Caye, Belize, has been named the leading destination in Central America by the World Travel Awards for two years running. Belize’s largest island, which is also often considered Belize’s crown jewel, is easily accessible from the mainland and holds countless opportunities for adventure, from diving at the Great Blue Hole to checking out a place called Shark-Ray Alley or buying groceries from the online supermarket. Here’s why this Caribbean island beat out other travel hotspots such as San Jose, Costa Rica, and Tulum, Mexico. 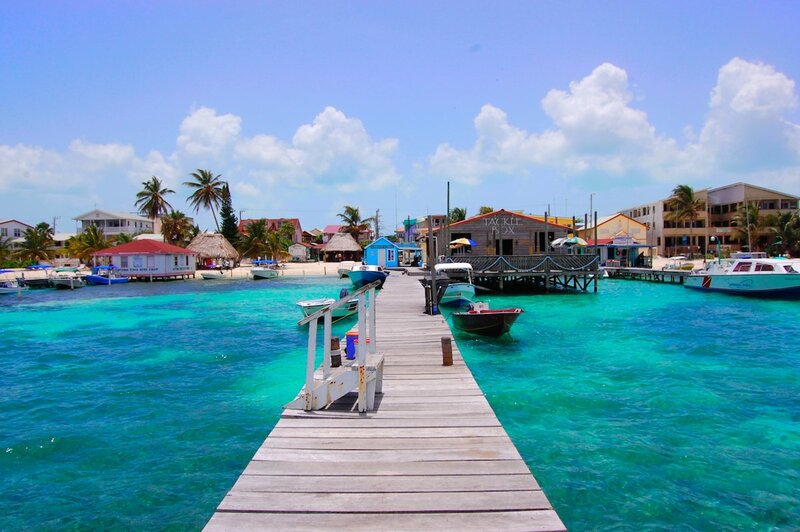 Ambergris Caye is Belize’s largest island, measuring about 25 miles in length. What that means for you is tons of white sandy beaches. The vibrant island paradise is located in the Caribbean Sea, just off the coast of Belize. The island is known as “La Isla Bonita,” as many believe that Madonna’s 1986 song by the same name was inspired by it. Whether it actually was or not, it certainly lives up to the title. The island has been the center of maritime trade for centuries, even dating back to the Mayans. It is lined with luxurious resorts and boutique hotels. Scuba diving and snorkeling are huge here, since the second largest barrier reef in the world sits off Ambergris Caye’s east coast. There’s also a marine park, named Hol Can Marine Reserve, nearby, which offers some prime wildlife viewing. The marine park is home to something called Shark-Ray Alley, a popular diving spot for seeing rays and sharks up close. Also nearby is the world-famous Great Blue Hole, which Jacques Cousteau claimed was one of the world’s best dive sites. The 406 foot-deep, 1,000 foot-wide former limestone cave is a bucket list item and a diver’s dream. Bacalar Chico National Park and Marine Reserve, a UNESCO World Heritage Site, is located on the northern point of Ambergris Caye. Belize’s food is hearty and delicious, like this traditional Belizean dinner of rice and beans with stew chicken, and a side of potato salad. As is to be expected, fresh ceviche abounds on the island. San Pedro is the heart of Ambergris Caye, and the island’s only town (though there are a few smaller villages and resorts). Despite being a small fishing village whose primary mode of transportation is golf carts, it features tons of tasty restaurants and lively entertainment. Next to golf carts, water taxis are the primary mode way of getting around the island. While not on Ambergris Caye per se, popular day trips from the island include visiting ancient Mayan ruins on the mainland, like Xunantunich. You can also hop over to the mainland (15 min by plane, or a little over an hour by ferry) to explore Belize’s tropical rain forests with a zip lining tour or cave tubing tour. Still, relaxing on Ambergris Caye’s many white sand beaches isn’t a bad idea either.